COMMON Education Foundation - Free Way to Support Us! 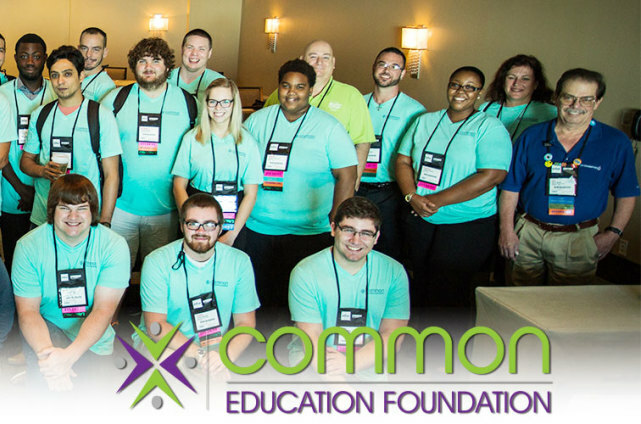 The COMMON Education Foundation (CEF) helps to educate the next generation of IT professionals. Established back in 1998, the CEF is an independent organization created with the support of COMMON – A Users Group. CEF’s mission is to nurture cutting-edge technical skills of IT professionals who will manage and support the business computing systems of the future. CEF’s primary goal is to enable COMMON’s vision of developing the next generation of IT professionals by supporting students, educators, and educational institutions that are focused on IT. To accomplish this objective, CEF provides various supporting initiatives, including sponsoring students enrolled in IT programs, tuition reimbursement, scholarships to both students and educators to further their business computing acumen, and to community members who invest their time and talent to help with these endeavors. As the need for IT professionals within all industries continues to swell at an exponential rate, the growing need presents an unprecedented opportunity for students to embark upon an educational track to prepare them for a professional career in information technology. As such, it is critical to properly educate and prepare students, and provide them with the skills necessary to support a wide variety of IT systems in the working world. The CEF forms innovative partnerships and fosters the development of high quality curriculum to provide students and educators with training that can help cultivate a new generation of business computing talent. We'll donate to COMMON Education Foundation when you shop online! Once you’ve made a purchase with one of our participating stores, we make a donation in your honor to COMMON Education Foundation. Over $13 million has been raised so far!